Welcome to the Jungle, baby! Well, the Amazon to be exact. Check out this brand new online slot brought to you by the great folks at Jumpman Gaming called Amazon Slots. This new UK slot site just launched in November 2016, and it offers hundreds of fantastic slot titles and huge jackpots. You can enjoy an exclusive welcome package at Amazon Slots, which consists of a generous 100% bonus that is worth up to £200 free. Aside from this free bonus, you'll receive 20 free spins on the very popular Starburst game. The amazing offers don't stop there. You'll also get a huge 100% bonus, including 20 free spins on your second and third deposits. That amounts to roughly £600 free bonus and 60 free spins. At Amazon Slots, you can easily become the king or queen of the jungle by working your way up to the levels of the VIP program. There are five tiers you can climb, and as your VIP status rises, you'll enjoy bigger and better perks and rewards. So the more you play, the more points you earn and the quicker your level increases. Take the fun and excitement with you wherever you go, at any time on your mobile device. You can quickly access Amazon Slots and start playing mobile slot games right away. The site is fully optimised for mobile gaming and works well on almost any platform. Amazon Slots has a decent number of payment methods, although some may believe this can be improved on. 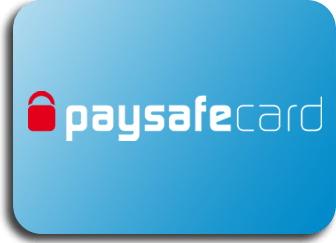 The site supports Visa, Mastercard, and Paysafecard. 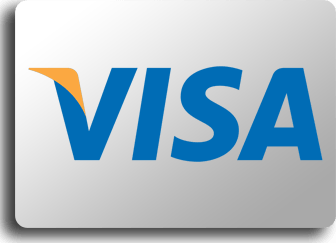 You can also pay by mobile for added convenience. Before you decide to make withdrawals, be sure you have met the site's wagering requirements to avoid forfeiting your bonus funds. For example, if you deposited £10 and received a £20 bonus, you need to stake both deposit and bonus 65 times. Visit the site's Terms and Conditions section to learn more. With hundreds of thrilling games to choose from, you won't experience a dull moment at Amazon Slots. Enjoy playing popular titles, like Starburst, Guns N' Roses, Fluffy Favorites, Gonzo's Quest, Fluffy Too, and lots more. Also, an excellent variety of black games and roulette is available to you. Extra Cash!! 80 Play Extra Cash!! Amazon Slots has a gorgeous new design that will surely appeal to most players. You'll love vibrant and colourful graphics, as well as the wonderful animated waterfall in the background. The site is user-friendly, and you can easily navigate through it. You can find everything you need, including the games section, promotions section, and slot titles being featured. Amazon Slots runs on the Jumpman Gaming platform, and it is one of the leading brands in the industry. The company is a well-respected name in the iGaming space with massive networks offering a full range of high-quality games. With hundreds of thrilling games to choose from, enticing promotions, as well as generous rewards and bonuses, both new and long-time players will have plenty of reasons to have an enjoyable time at Amazon Slots. So, don't miss out on all the fun and excitement. Swing on over and grab up to £200 free play bonus plus 20 free spins on Starburst today. Amazon Slots provides a smooth and overall excellent gaming software, which works well on almost all devices. The graphics and audio are both high-quality and look and sound very crisp. So, no matter what device or platform you're using, you won't be disappointed.